A daughter of the actress Utako Himekawa and a famous movie director Mr. Himekawa. 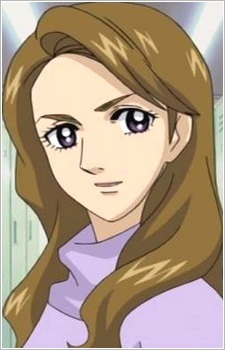 Maya's biggest rival, the honor-bound and noble Ayumi was born as the daughter of a very famous actress, Utako Himekawa (once the student of Tsukikage,) and a successful director and producer, Mitsugu Himekawa, and has been touted as a prodigy from an early age. Ever since then Ayumi wants to shine on her own and never falls into arrogance, reminded of how she got her first role just because of her family links. Ayumi is aware of Maya's gift for acting when they first meet in a practice, thus placing her as a life-rival. She is also ambitious enough to try to surpass her own mother, who is a widely recognized actress.